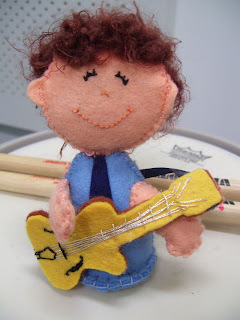 This little man goes with the jazz guitar of yesterday. It's a felt version of my friend Dave, and is a present for his 21st birthday. It sort of looks like him, except less angry. I like your little felt Dave and it is an awesome birthday present.